Use this window to create, remove and edit setting profiles. Remove a profile. Note: “Default” and “Default Sent” profiles cannot be removed. 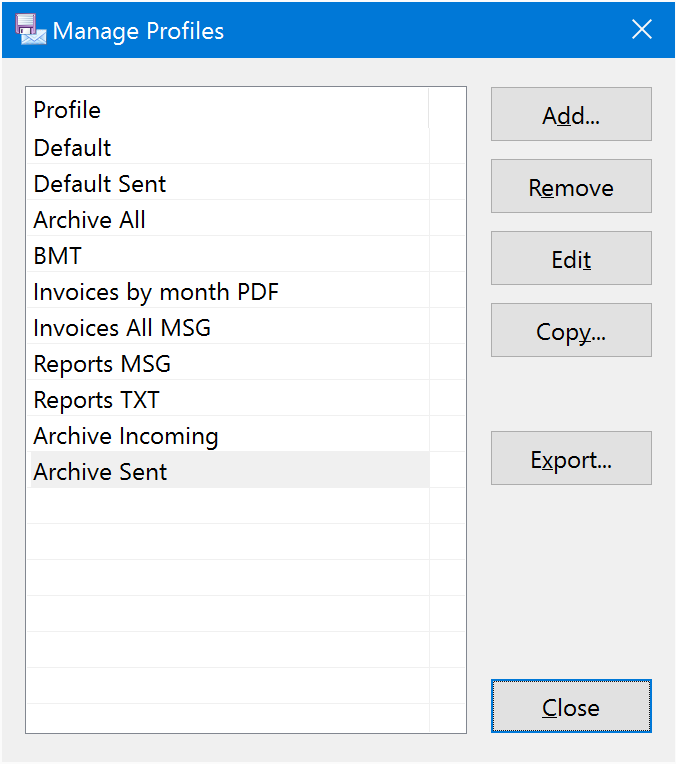 Make a copy of an existing profile.